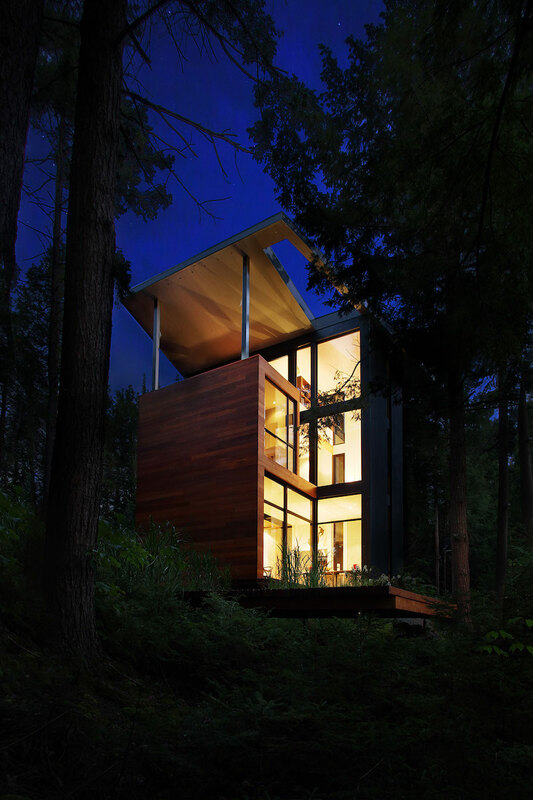 This beautiful house in the middle of the forest belongs to sculptor Jacek Jarnuszkiewicz from Poland. 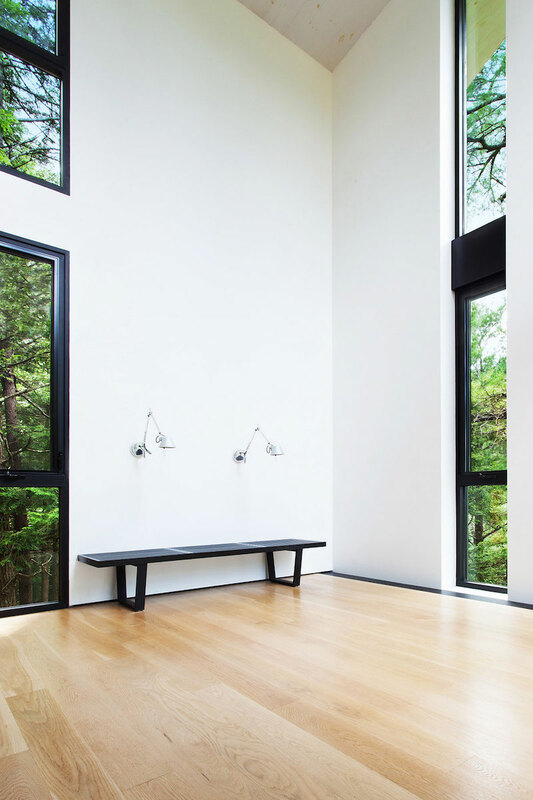 The project was a collaboration between the sculptor and YH2, an architecture and interior design studio founded in 1994 by Marie-Claude Hamelin and Loukas Yiacouvakis. 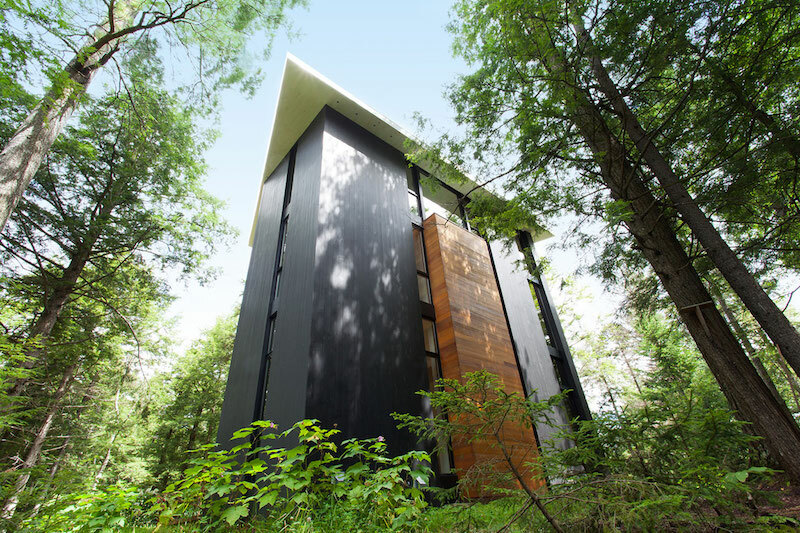 They designed this unique tower house in a forest in Quebec, Canada which occupies a total of 1700 square feet of space. Its interior spaces are organized on three floors with a lower level, a mezzanine area and a top floor with an observation deck. The architects that designed it are adepts of the idea that every building should be able to adapt to its surroundings but at the same time to also be able to transform its surrounding context. < A minimalist approach was chosen for the project. In other words, everything here has a purpose and each element is essential to the overall design. Vertically is the concept that stands at the core of the project. 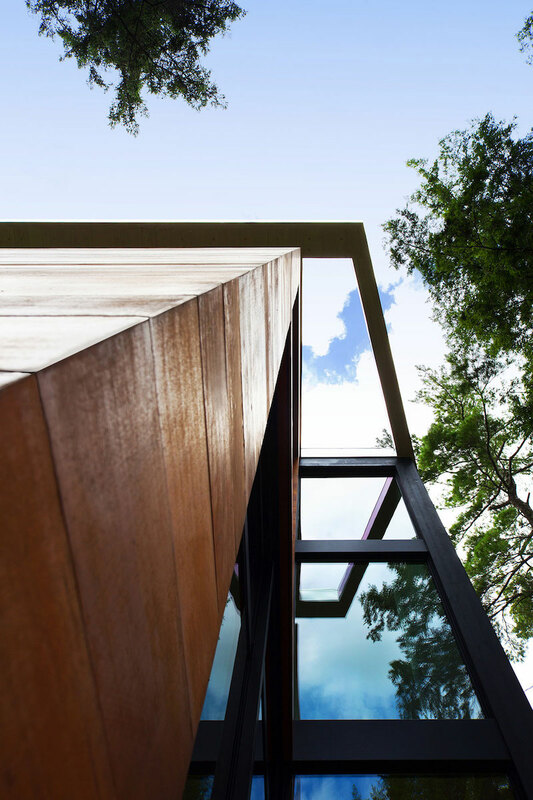 The sculptor and the architects wanted to find a way to make the house resonate with its surrounded and chose to give it a tower-like look inspired by the trees around it. 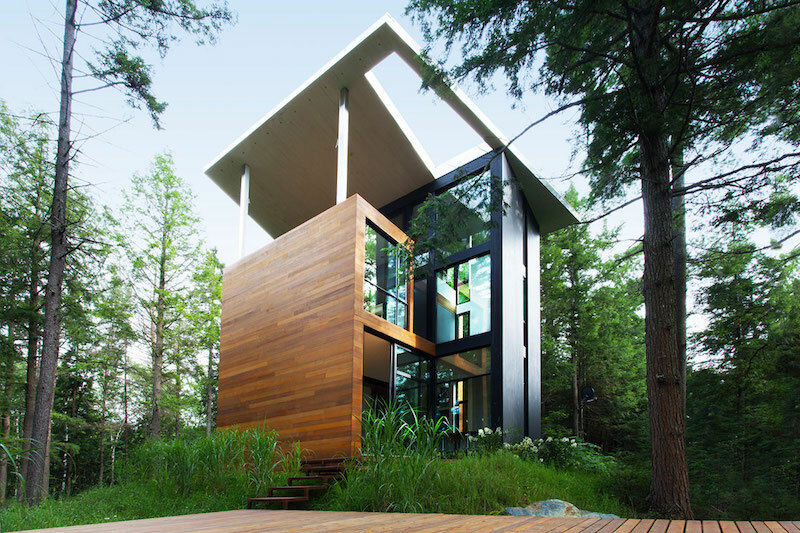 The architecture of the house is an expression of the landscape which surrounds it. 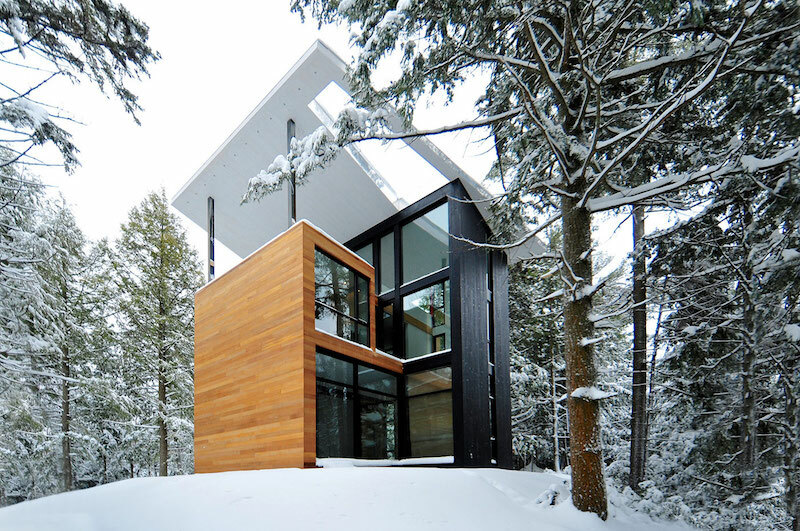 The exterior is defined by the contrast between the two volumes. 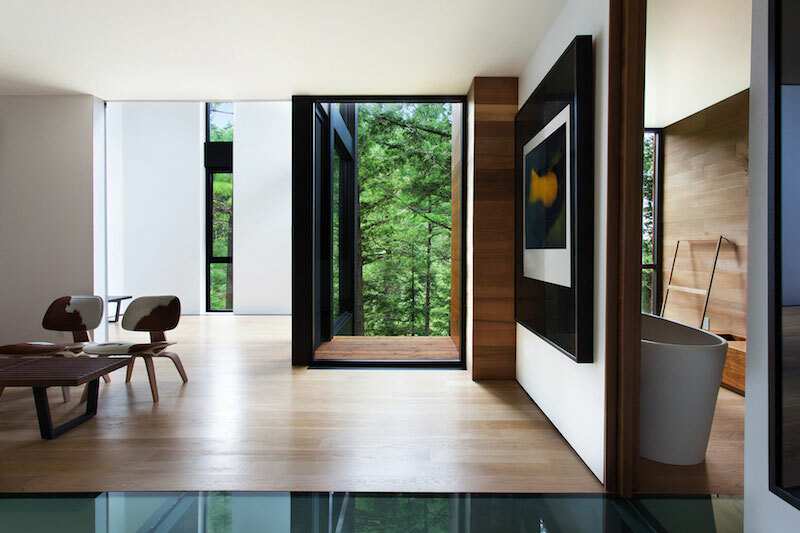 One of the volumes is ight and the other is dark and this contrast is also emphasized in the interior design where structural elements such as the staircase strike us as exquisite focal points. 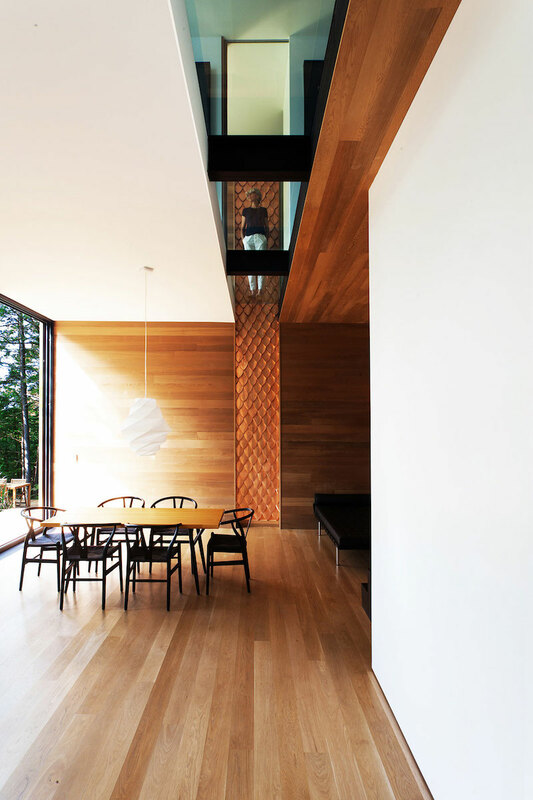 There’s also a very harmonious interplay of opaque and transparent surfaces throughout the house. 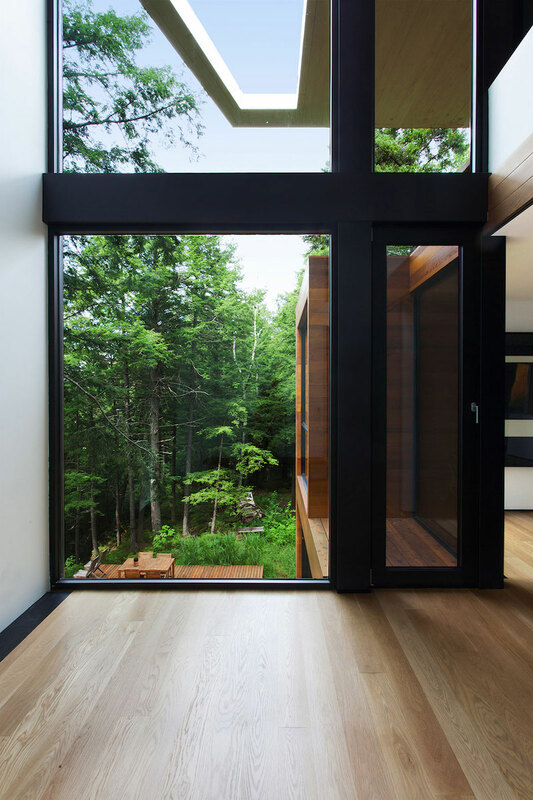 The large windows bring in lots of natural and allow nature to become a part of the decor and to be admired from carefully positioned spaces. Moreover, the open plan establishes a natural fluidity and continuity throughout the volumes. The lounge area on the mezzanine level has this covered wooden deck which can be used as an observation tower for the wildlife and panoramic views of the mountains and the nearby lake. 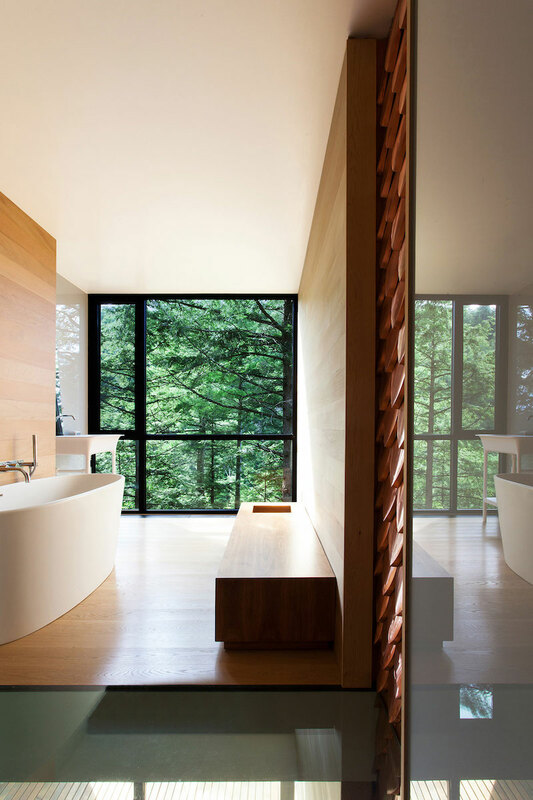 It’s a feature which reinforces the unity between the house and nature and between the interior and exterior spaces.